whilst rain sings a fierce song. as nature swells with desire. in the warm belly of the Mother. and lamb’s-tails burst into life. Note to Self: “When your soul discovers nature, above and below, let your poems become confetti to that beautiful divine union” ~ A poet (me!) musing on my dreams, Jung, woodlands and myths. Blessed Be. Wonderful expression. Your last 3 poems are inspiring, especially ‘Welcome Mother Light’ – you’re planting poems in every flower, tree and sky I meet. There’s rhythm and heartbeat to your words. Only a poet can have this feeling for the Divine Nature. Thank you for sharing it with us Deborah. Thank you so much Mariquitta for gifting me such a warm, kind-hearted reply! “Planting poems in every tree, flower and sky …” Oh, I love it! As for poets, I’m certain the rhythm, heartbeat and feeling all come from discovering nature, above and below (see note to Self)! Perfect as we approach March and the return of Persephone. Warm and wild blessings, Deborah. Dear Deborah, this is so lovely! Imbolc & Brigid blessings to you. I’m not very familiar with Imbolc and Brigid, a little but not much! But now I feel I know a little more and she is a Goddess to be embraced and loved for all she brings forth -and while it may be bitter cold, the flame is there, in the hard ground, the rain, sleet and snow. How fabulous to say that the wind can suddenly loses its breath! Oh, I love it when the poet in you breaks the surface and shines through. Warm and wild Imbolc blessings, Deborah. So beautiful, Deborah. Thank you. I love your poetic images of Imbolc. Hiding away from cold and snow even as the seeds incubate and the sheep prepare for birth. Even in our record cold (it’s finally softening), the days were noticeably longer and the sunset colors warmer. In the US, I learned that our silly Groundhog’s Day (Feb. 2) originated with German settlers combining Candlemas with a Delaware Indian legion about a groundhog ancestor. I love the mythological roots. The forest was welcoming until the winds came and demanded more warrior energy than I have. It was dangerous out there. Yes, winter teaches us detachment and patience. My dog and I huddle by Brigid’s fire. There’s something primordial about a wood stove, feeding in dry logs, a fire in the middle of my house visible through the glass doors of the stove. Your last stanzas fill me with hope. It’s a good time to fall in love with hearing and the beauty of sound. A good time for healing and starting something new. Cochlear implant surgery is Feb. 5, Chinese New Year. When I watch cardinals flashing red at the feeder and the rosy cap of woodpeckers picking at suet cakes, I know this is an auspicious time for a new adventure. Sending you love and warmth and green for whatever new adventures you’re taking. Thank you so much Elaine for your beautiful, kind-hearted reply to my poem! Yes, hidden away, the quickening is now upon us with all yet-to-be-born lambs, leaves and blossoms stirring below. The swirling snowfall arrived in the South (England) for the first time this week and although it was a joy to behold, I was relieved when it turned to slush the next morning and disappeared. Hmm, I’d read about those extreme cold temperatures in New York State, so am pleased to hear finally the softening has begun! Ah, I didn’t know about Groundhog Day’s epic, mythological roots, so many thanks for letting me know. When hiking through my favourite woods a couple of days ago in order to write this poem “bitter” and “cold” were two words on repeat throughout my walk! Warrior energy, oh I love your portrayal as I’m rather depleted in that area as work is very busy and I’m struggling to find time to sit and write. I love the description of your own Brigid’s fire and often imagine you and Willow sitting there, warming yourselves by the Great Mother’s alchemical oven! On another note, as I listened to birdsong last week, I thought to myself, it’s time to seek out new love and so this moment found its way into the poem too. I’m super excited for you as the date for your surgery draws closer even though I know the implant won’t be switched on till March but yes, it’s a good time to embrace the beauty of sound just when the birds will be building up to their late spring crescendo! An auspicious time for a new adventure indeed! I’m looking forward to hearing all about it! Before I forget, yesterday I saw a magnificent old tree on your FB page, such a great photo I thought I must let Elaine know! Sending you much love, light and laughter across the oceans between us, Deborah. A deeply healing journey that took me straight into the heart of winter. Beautiful verses, profound imagery. I’d forgotten that catkins are otherwise known as lamb’s tails. All the best, Anna. Aww, many thanks Anna for your wonderful response, that’s so very kind of you! 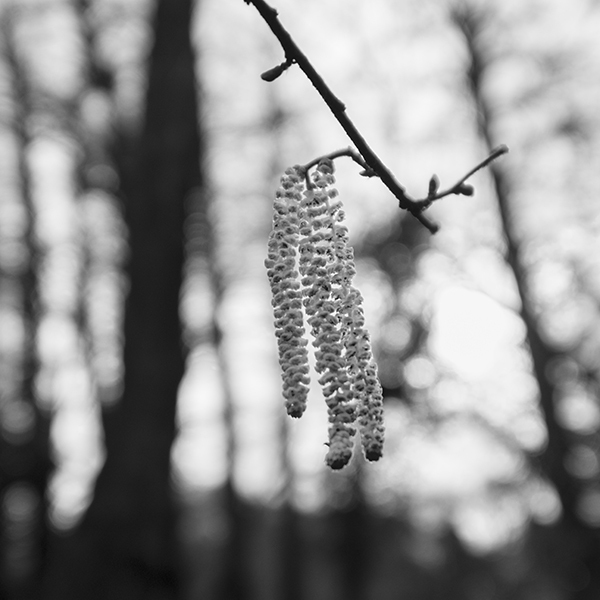 Yes, those gorgeous “lamb’s tails” … what a joyful name for hazel catkins … the woods were teeming with them yesterday! Warm and wild Imbolc blessings, Deborah. Thank you so much Aladin for your lovely words, it’s always wonderful to see you here! And many thanks for sharing my new poem on Facebook, much appreciated! Wishing you a bright and beautiful Imbolc, Deborah. Thank you so much Henry for your generous review! I’m truly humbled. Why not join me on this Year of Poetry? You could start here in February and finish next January? It would be fun to write together again! 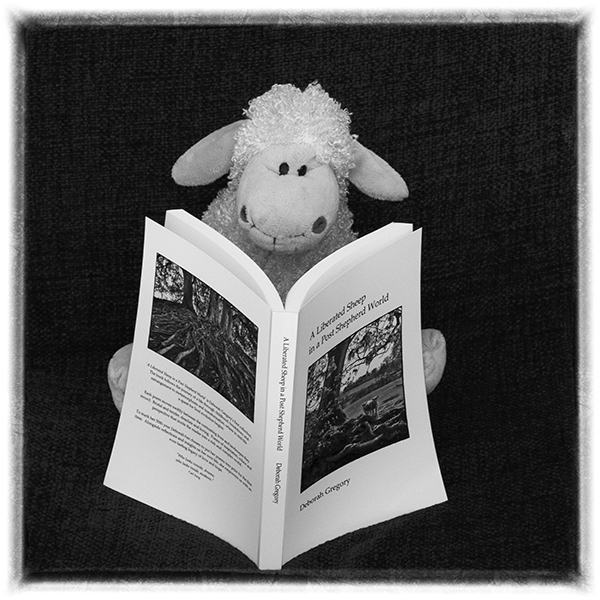 Oh, I don’t know the name for this form … I just wanted the “unseen” lambs (V.1) to re-emerge by the end of the poem. Warm and wild Imbolc blessings, Deborah. Great idea Deborah but I can’t join you this year, perhaps next and I would start in January. Thank you for asking. In the meantime, I’ll let you lead the way. Yep, I miss the old MB too!! The perfect poem for February and of course Imbolc ( or Candlemas) Deborah, one that brings to life the sudden bitter turn that the weather can take in this month, yet also one that finishes with the proof of new life emerging in the white feather of hope and of course the “lambs tails”. I love seeing the catkins on the hazels dancing on the wind as I walk through the woods, they look so delicate when they are glistening, back lit by the sun, such uplifting flashes of yellow at a time when the colours can be dull and seemingly lifeless in the forest. Thank you so much Sophia for your wonderful response to my poem! Hmm, “bitter” and “cold” are two words I have on repeat at the moment. Thankfully, last night’s snowfall has turned to slush, although it was magic to see the garden turn into a winter wonderland! Lamb’s tails are what I’ve always called hazel catkins. Yes, backlit they look amazing don’t they! I was surprised at how many there were in my favourite woods yesterday morning. Aww, Saint Brigid, beloved of the poets! Well you’ve encouraged me to read more about this Nature Goddess with your mythological tales of Cirb and Manannán. Ever since the Winter Solstice my house has been bathed in candlelight for over a month now, I love it, it’s so much better than any other lighting, except the warmth and comfort of firelight! Blessed Imbolc to you, may the divine Wheel of the Year begin. Warm and wild blessings, Deborah.